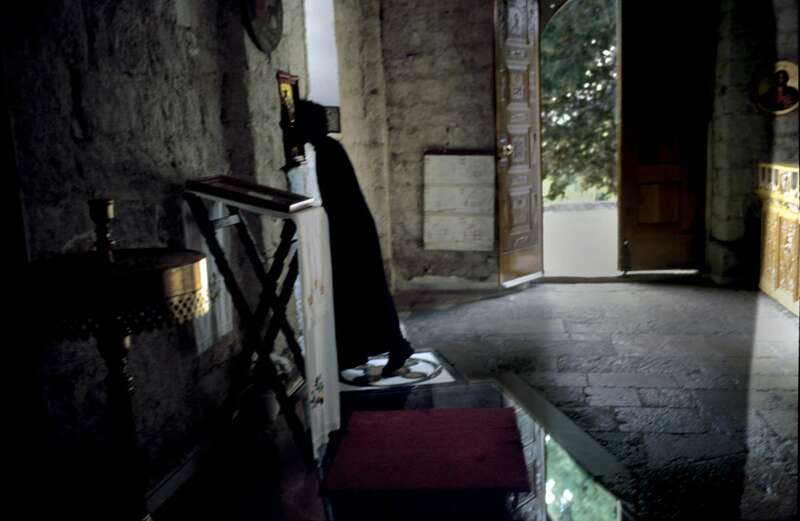 An Orthodox priest kisses an icon in Tvrdos monastery near Trebinje, one of the many towns which Muslims were forced to flee when the war began in 1992. According to locals, this monastery has been one of the hiding places for Radovan Karadzic, who was the Bosnian Serb political leader during the war. Karadzic has been indicted for war crimes by the International Criminal Tribunal for the Former Yugoslavia at The Hague, but has has remained at large for years.